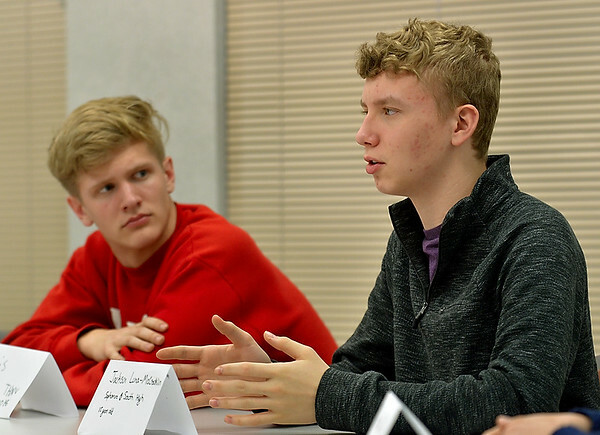 Maybe it's time to lift the Dickey Amendment: Terre Haute South student Jackson Luna-McCrocklin talks about the 1996 Dickey Amendment during a panel discussion on Wednesday at the Tribune-Star. The 1996 Dickey Amendment passed by Congress forbids the Centers for Disease Control "for advocating or promoting gun control." Luna-McCrocklin believes the CDC should be able to research gun violence.